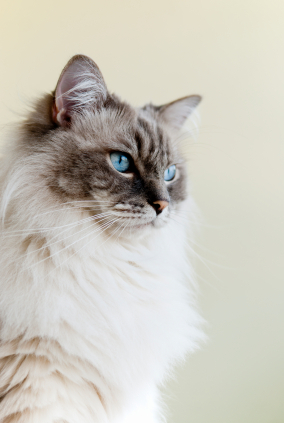 MORE TH>N and Bought By Many, the company bringing people power to insurance, have partnered to launch a new insurance offer to help owners reduce the cost of insuring pedigree cats. With their higher financial value and susceptibility to breed-specific health conditions, pedigree cats cost owners on average 30% more to insure in comparison to moggies. The new offer has been developed with the needs of pedigree cats in mind and allows owners to gain up to a 40% discount on MORE TH>N cat insurance cover. To benefit from the offer, consumers have to join Bought By Many’s Cat Insurance group, which currently has 282 members. Bought By Many then uses the collective buying power of the group to offer a 20% discount on pedigree cat insurance with MORE TH>N. With 4 in 10 cat owners also owning more than one cat, Bought By Many have also worked with MORE TH>N to secure further discounts aimed at reducing costs of multiple cat owners too. This means the 20% discount will be available in addition to the MORE TH>N "multi-pet" discount, so pedigree cat owners save 40% when they are insuring more than one cat. Bought By Many is shaking up insurance with social media at the heart of its business model. It connects people with similar insurance needs into groups, and uses the group's collective buying power to negotiate offers on insurance that wouldn't be available to individuals. The concept’s simple - the more people who join a group, the better the deal becomes. It also benefits insurers, enabling them to reach the segments they most value, diversify risk, lower dependency on aggregators, and achieve greater profitability. Cat owners can join the group at the Bought By Many website: Cat Insurance. Premier Pet Insurance for a 3 year old pedigree cat costs an average of £208, compared to an average of £159 for a moggie - source: Comparethemarket. MORE TH>N is the direct financial services arm of RSA. It offers motor, home, pet, life and travel insurance by phone and via the internet. It also offers van, shop, office, business car, hotels, property, club and contractor. "So happy Service is fantastic My 6mth old coco has been able to go straight in to the vets and treated no complications with my insuran..."